Today I buy (seven) domains at (GoDaddy.com) listed below, and I learn what you can do before buying your 1st domain name, be relaxed and see what kind domain are popular and you sale this easily, you must buy your 1st correct and high Google traffic keywords domain name. Because if you select correct keywords, your domain is like people and you also sale and make money for using your web domain name. 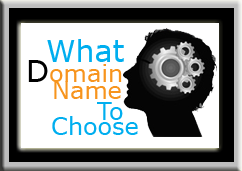 These things you must apply to choosing your domain name. Choose your domain under 3 to 5 word like a (png.com) (pixpng.com) Must be select (.com) domains many people not like (org, net, Co, info, us, in, pk, UK, au, chew, or etc.) if you select (.com) domain you sell these domains easily. Many companies (Domain, Registrar) registered your domain $1.00 to $1.50 for a year, you must choose a good company, I registered many domains at (Godaddy.com) this company are good and they provide many other things. When you purchase a domain you also select 'Cash Domain Parking' Hosting, and much more. If you don't apply your domain at your website or blog, you cash park your domain at (GoDaddy.com) and earn money for your park domain. These Domains Are For Sale. DreamHost is ultimately the best web-hosting company with plans for all of your hosting requirements.